Samford University junior quarterback Devlin Hodges and junior defensive lineman Ahmad Gooden were named the Southern Conference's 2017 Offensive and Defensive Players of the Year. 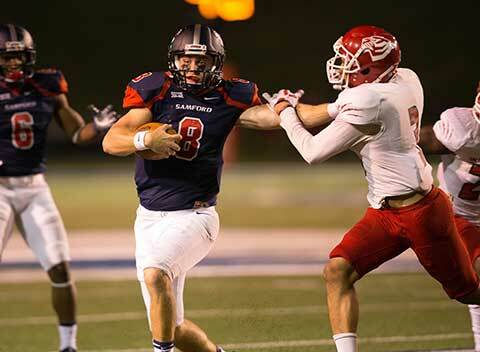 It was the first time since 2013 that Samford swept the player of the year honors. Hodges is a finalist for the Walter Payton Award, which goes to the top offensive player in all of the Football Championship Series division. Gooden is a finalist for the Buck Buchanan Award for the top defensive player at the FCS level. The awards will be celebrated at the STATS FCS Awards Banquet and Presentation, scheduled for Jan. 5 in Frisco, Texas, on the eve of the national championship game.